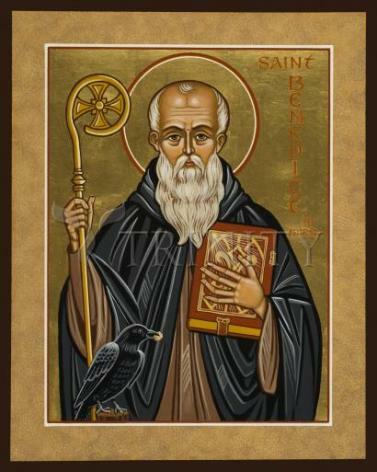 Benedict was born to the Roman nobility. Twin brother of Saint Scholastica. He studied in Rome, Italy, but was dismayed by the lack of discipline and the lackadaisical attitude of his fellow students. He fled to the mountains near Subiaco, Italy, living as a hermit in a cave for three years.